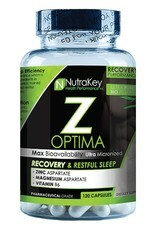 Nutrakey NutraKey: Z Optima 120 ct - Athletes Nutrition Inc. While NutraKey’s Z-Optima is just a simple mineral formula, supplementing with zinc and magnesium have long been known as on the most effective ways to increase lean muscle mass, speed up recovery, and boost testosterone.1,2,3,4 From professional athletes to amateur bodybuilders, the Z-Optima formula is one of the least-contested and most effective supplements on the market. 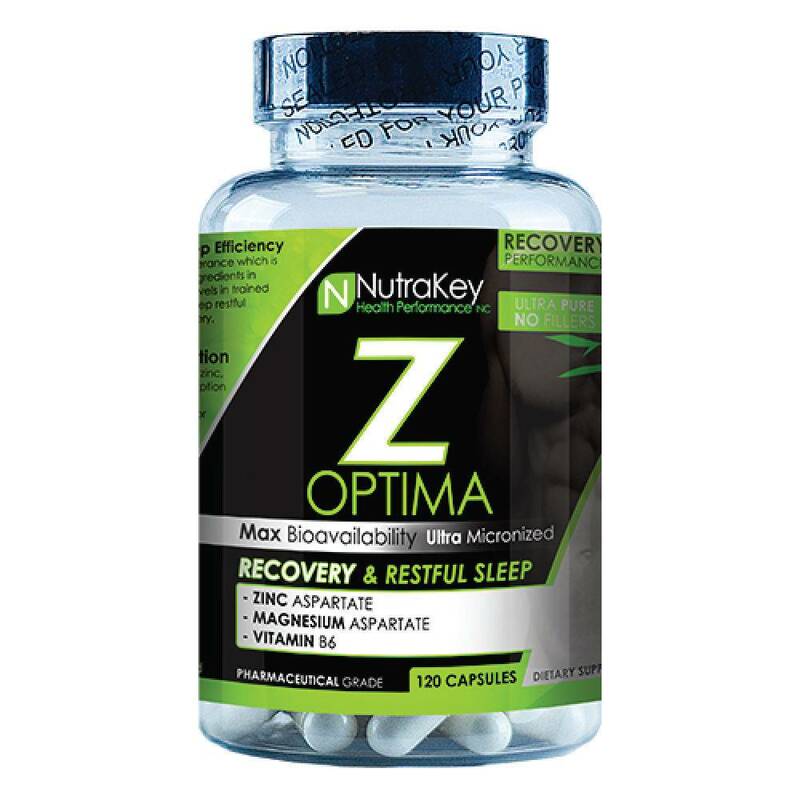 Primarily used to help promote recovery and growth while sleeping, Z-Optima does far more than provide your body with the necessary ingredients for muscle repair and a good night’s rest. Studies have also demonstrated the ability of magnesium to normalize and extend stage 3 and stage 4 slow-wave sleep.2,3 This not only results in better-perceived quality of sleep, but extends the period of time when growth hormone is thought to be released at the fastest rate. With the added metabolic benefits of vitamin B6, magnesium and zinc supplementation is important and effective for healthy growth in both athletes and bodybuilders alike. NutraKey’s Z-Optima formula has been clinically proven to significantly increase anabolic hormone levels, increase both free and total testosterone, boost muscle strength, and promote deep, replenishing sleep.